Success Champion, Donnie Boivin. Unleash your inner badass. Donnie Boivin knows what it’s like to create something from nothing. First, Donnie entered the Marine Corps. 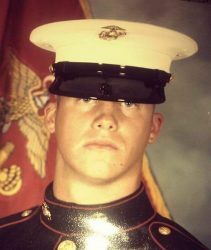 Then, after leaving the military, he jumped straight into the first job that presented itself: a commission-based sales position. Quickly, Donnie devoted his life to corporate sales and spent the following 19 years building large businesses for other people. living someone else’s life and chasing someone else’s dreams. Eventually, Donnie realized he was living someone else's life and chasing someone else's dream. It wasn’t until 2 decades into his corporate career that Donnie found himself standing at a crossroads. Bravely, Donnie decided to walk away from his comfortable sales career with no job or security net in place. Finally, Donnie discovered his true calling and source of inspiration. 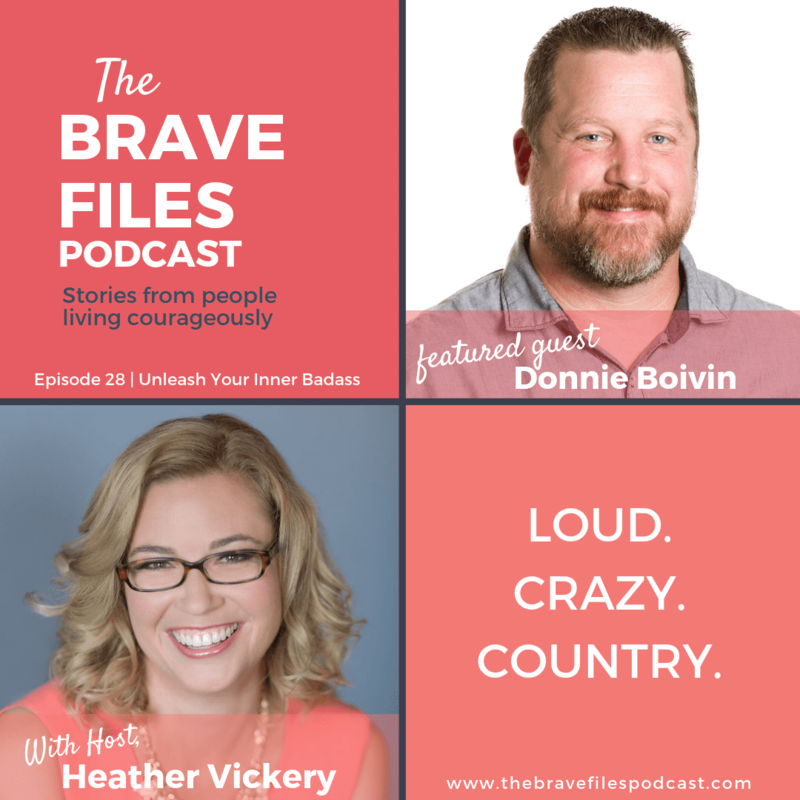 Today, as an international sales speaker, coach, and podcaster, Donnie’s story proves that you can face your fears and venture into the unknown. Through his journey, Donnie has come to realize that everyone has a story to tell, and life is all about the conversations you have along the way. Donnie now uses his experiences to coach and motivate others who are searching for that kick to get started. His podcast, Donnie’s Success Champions, inspires listeners and empowers guests through telling their stories and voicing their individual truths. 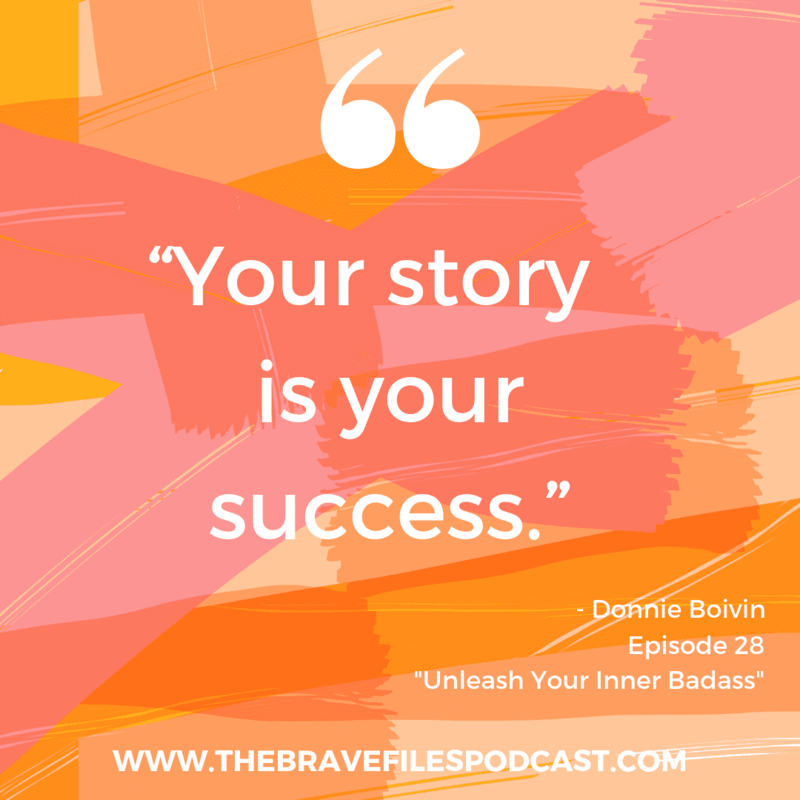 Every day, in each episode of his podcast, Donnie encourages others to enjoy the freedom of their success and to unleash their inner badass. Lastly, our very own, Heather Vickery, was a featured “Success Champion” on Donnie's show just a few weeks ago. 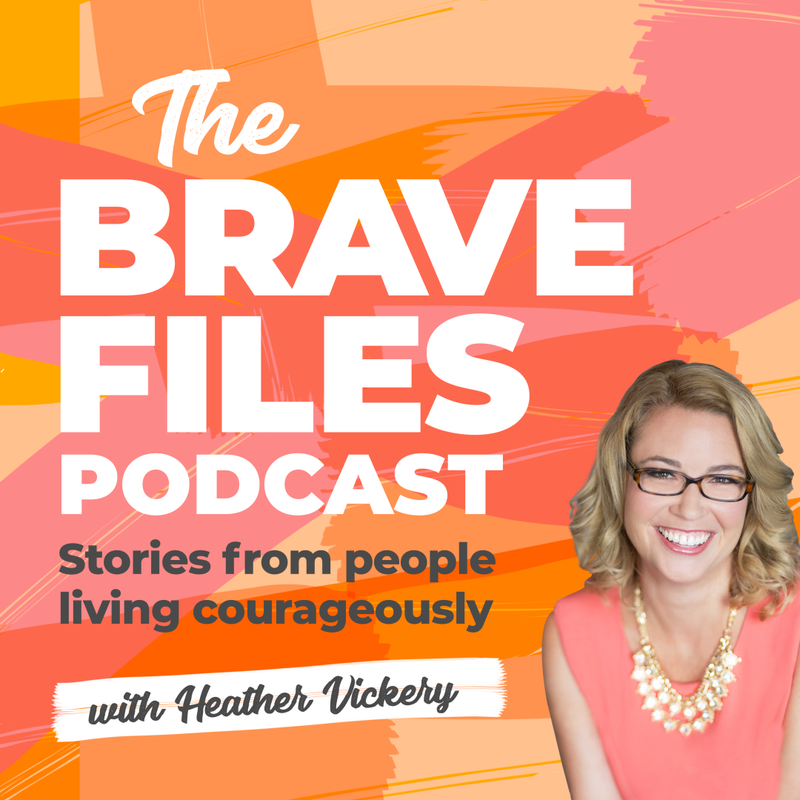 In this episode Heather shares some pretty extraordinary details about her personal life and her journey to authenticity. Check the episode out, after you've listened to Donnie's interview on The Brave Files, of course! We invite you to learn more about Donnie Boivin on his website or through his social channels on Facebook, Twitter, Instagram, and LinkedIn. Successful sales are all about relationships and conversations. Real freedom comes from staying true to yourself. Happiness comes from living life by YOUR design. 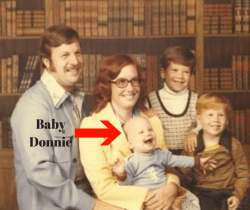 Comprehensive care for cancer families is close to Donnie’s heart. Therefore, he chooses to support Cancer Care Services, based in Fort Worth, Texas. Cancer Care Services provides financial assistance, social connection, counseling, and overall support to cancer patients and their families. Powerfully, the organization does their best to ensure no one goes through their cancer journey alone. Donnie bravely served in the U.S. Marine Corps. Cassandra Bumpus has been “the sick girl” her entire life. Diagnosed with Cystic Fibrosis when she was less than a year old, her early life was defined by her illness. Cystic Fibrosis is progressive and has no cure. 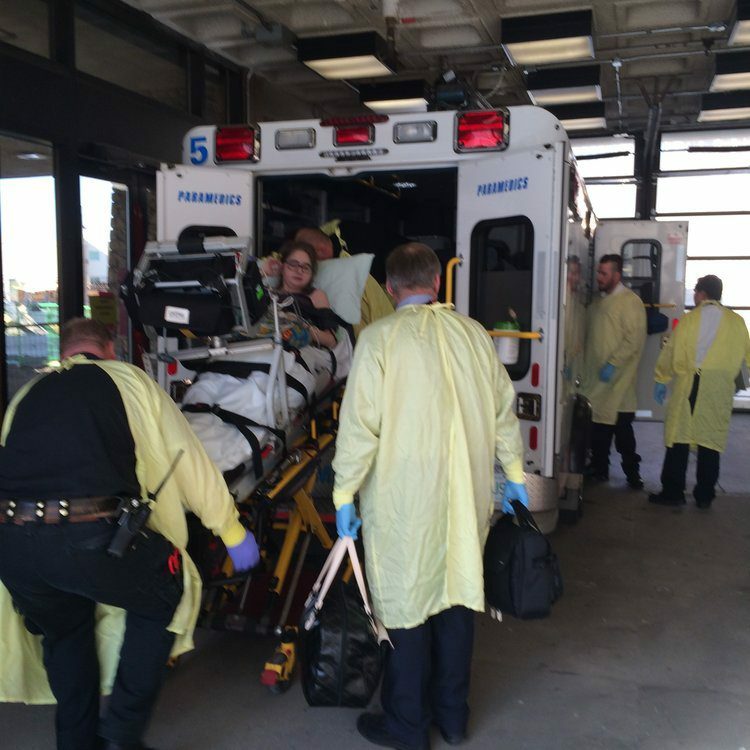 With her health failing and complete inability to breathe on her own, Cassandra felt lost. 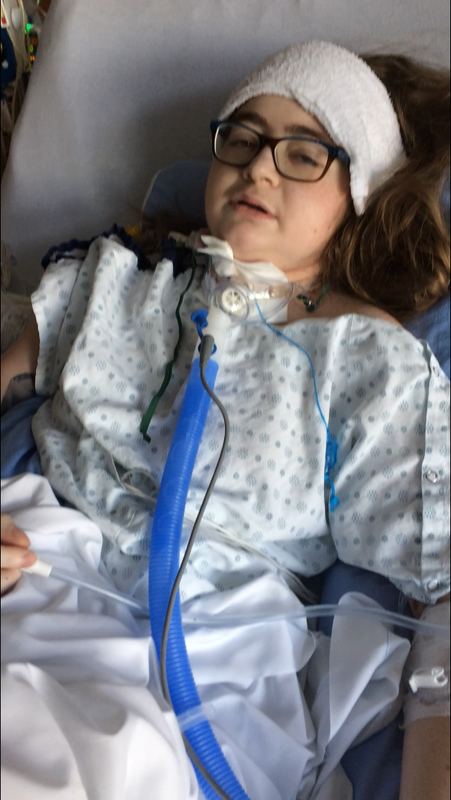 Still, she was unsure about the double lung transplant doctors said was her only option. Eventually, in her early 20s, Cassandra realized that in order to live, she would need to step out of her comfort zone and take the risk of saying “yes” to a double lung transplant. Since the transplant, Cassandra has made a full recovery and also said “yes” to building a life with her long-distance love and new husband. 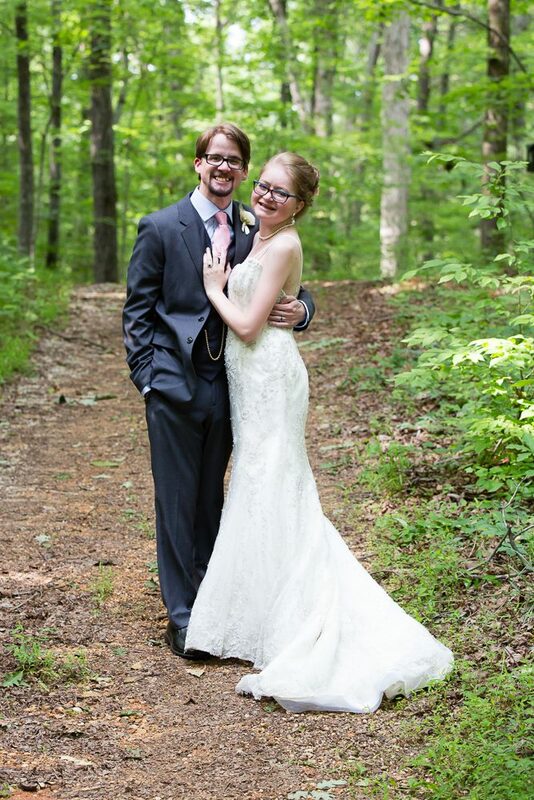 Her husband, Dillon also has Cystic Fibrosis. Cassandra says her husband helps her set aside her fears and take time to enjoy the here and now. Cassandra also made the brave decision to start her own business. Check out her work at Cunningham Creative Services. 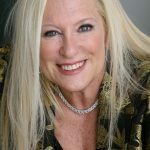 She offers copywriting services for small businesses and fellow entrepreneurs. She has also launched a Facebook page (soon to be blog) called Girl Seeking Joy. 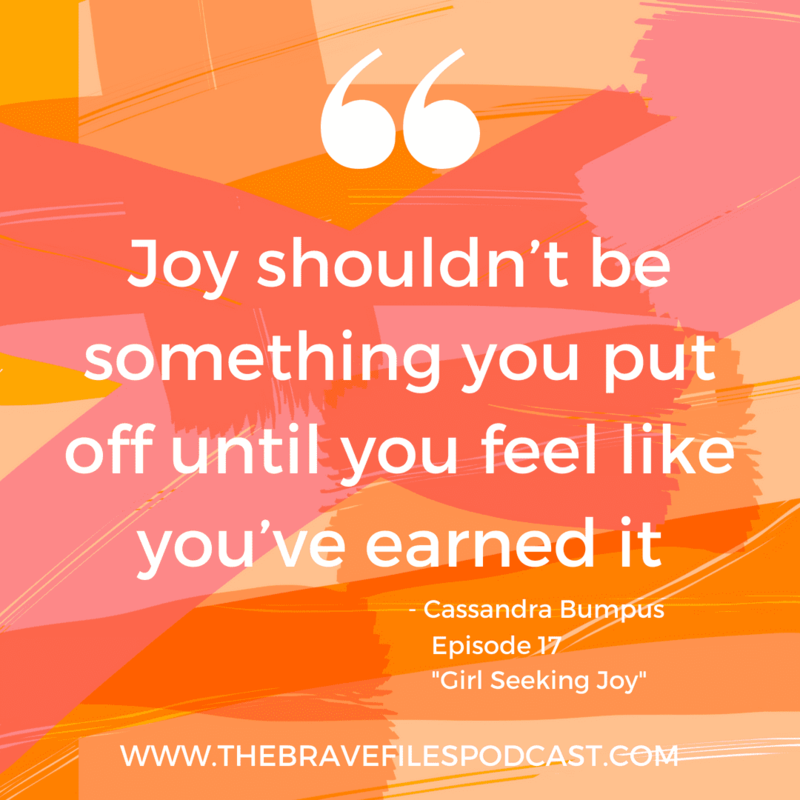 The site is dedicated to embracing joy rather than running from it, no matter what life throws at you. Unsurprisingly, Cassandra supports Cystic Fibrosis Canada and encourages American listeners to support the Cystic Fibrosis Foundation. 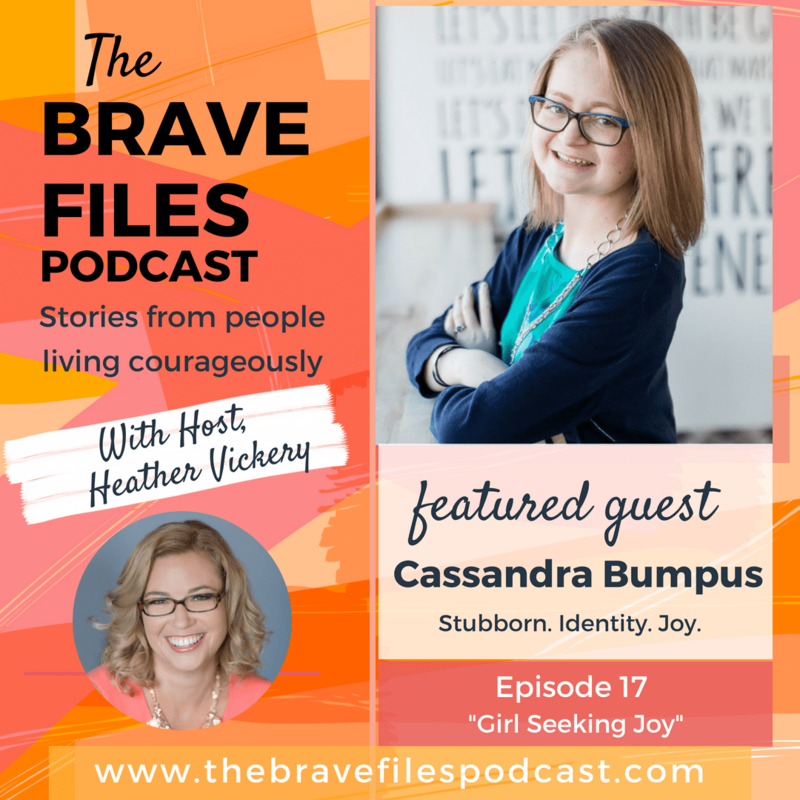 Cassandra Bumpus loves connecting with people through stories and conversation. She can often be found spending hours on research with her favorite cup of tea next to her in an attempt to satisfy her curious mind. 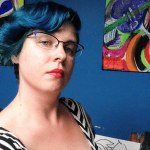 Her interests have led to a passion for copywriting, content marketing, and case studies. She provides these services through her business, Cunningham Creative Services, her virtual business is based out of Saskatchewan, Canada. In her spare time, she enjoys working on her blog, Girl Seeking Joy (coming soon). Cassandra loves to chat and can be reached at hello@girlseekingjoy.com. 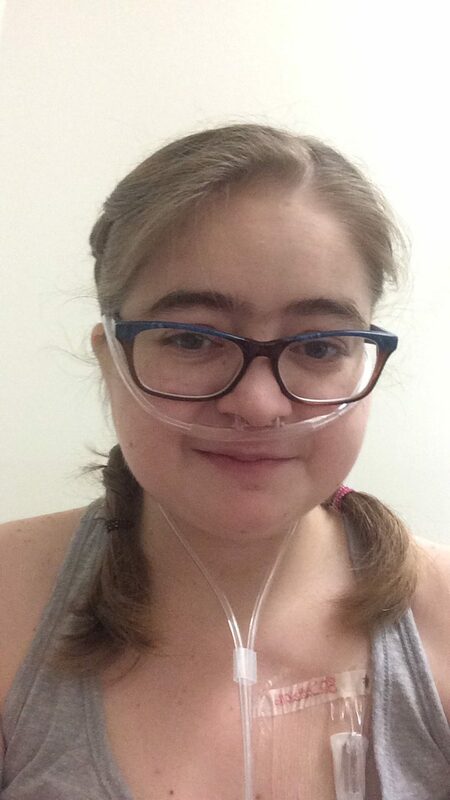 Cassandra was required to wear an oxygoen mask at all times, prior to her double lung transplant. 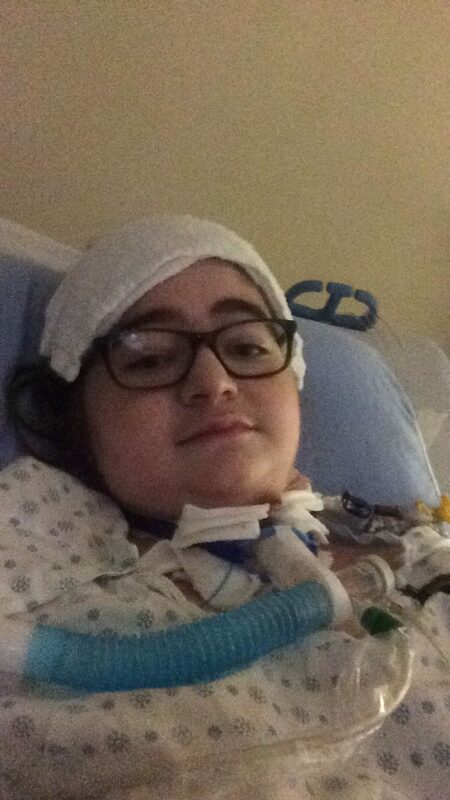 Cassandra required a full ventilator after her double lung transplant. 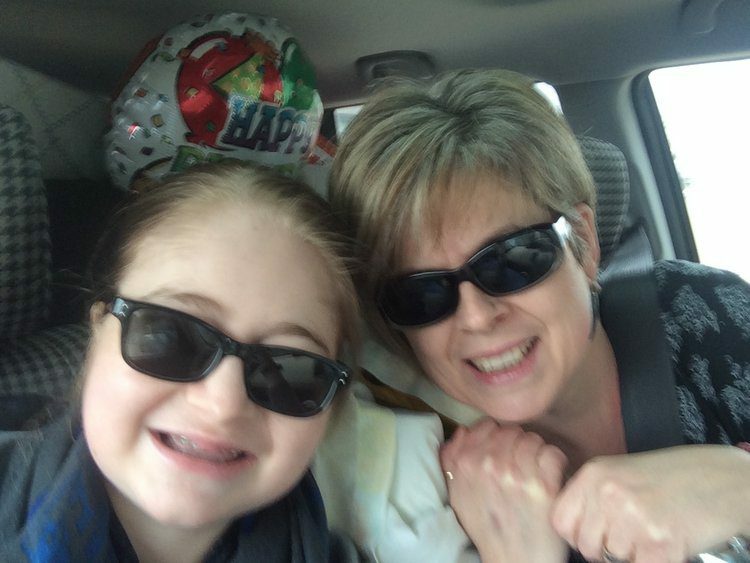 After five months in the hospital, Cassandra finally gets to go home. She is pictured here with her mother.